The largest rodent ever to have lived may have used its front teeth just like an elephant uses its tusks, a new study led by scientists at the University of York and The Hull York Medical School (HYMS) has found. Josephoartigasia monesi, a rodent closely related to guinea pigs, lived in South America approximately 3 million years ago. 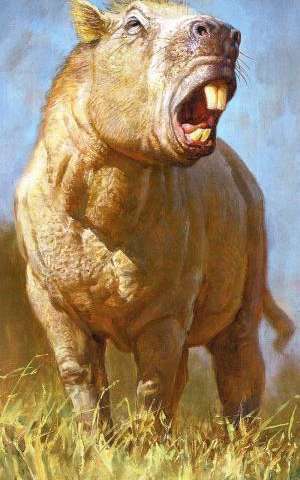 It is the largest fossil rodent ever found, with an estimated body mass of 1000 kg and was similar in size to a buffalo. Dr Philip Cox, of the Centre for Anatomical and Human Sciences, a joint research centre of the University's Department of Archaeology and HYMS, used computer modelling to estimate how powerful the bite of Josephoartigasia could be. He found that, although the bite forces were very large - around 1400 N, similar to that of a tiger - the incisors would have been able to withstand almost three times that force, based on earlier estimates by co-authors, Dr Andres Rinderknecht, of The Museo Nacional de Historia Natural, Montevideo, and Dr Ernesto Blanco, of Facultad de Ciencias, Instituto de F?sica, Montevideo, who first described the fossil in 2008. Dr Cox said: "We concluded that Josephoartigasia must have used its incisors for activities other than biting, such as digging in the ground for food, or defending itself from predators. This is very similar to how a modern day elephant uses its tusks." The research, which is published in the Journal of Anatomy, involved CT scanning the Josephoartigasia monesi specimen and making a virtual reconstruction of its skull. This was then subjected to finite element analysis, an engineering technique that predicts stress and strain in a complex geometric object. 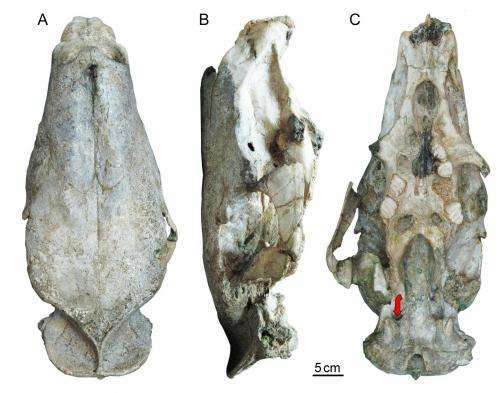 More information: The paper 'Predicting bite force and cranial biomechanics in the largest fossil rodent using finite element analysis' is published in the Journal of Anatomy.